On to Part 2! Be sure to check out Part 1. Yes, I have a green on my Top 20 list. I have to say the past few months I have been loving the greens being released. I'm not typical green fan. I love the color, it just tends to be finicky with my skin tone. Glittering Garland on the other hand is a dream. 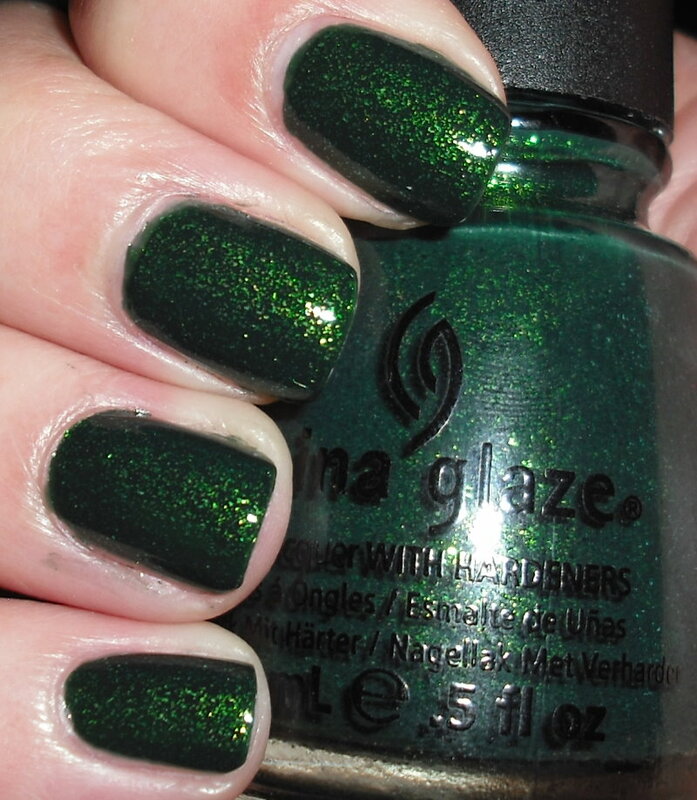 The richness of this forest green with the green and gold microglitter is polish heaven! Check out my full review. This gold flakie answered my biggest polish dreams. I love the look or lapis lazuli. It takes me back to one of the cool places I've visited over the years, Hearst's Castle Roman Pool. If you've followed my blog for awhile I've talk about that incessantly. This flakie helped me recreate the dream look I've always desired! Check out my full review. 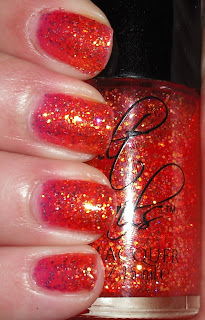 This was another polish dream fulfilled. You know those awesome glitter glues at the craft store? I always wanted a polish to look like one of those, and this was it. I love the coral base with the golden iridescent glitter. This color is spectacular! I just wish it came in other colors! Check out my full review. There were so many great blues this year. Dark blues are some of my favorites, and it was hard to pick one. 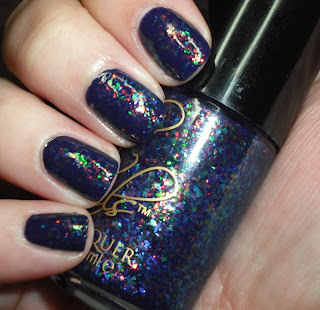 I ended up choosing Time Traveler because of the pigmentation of the blue. 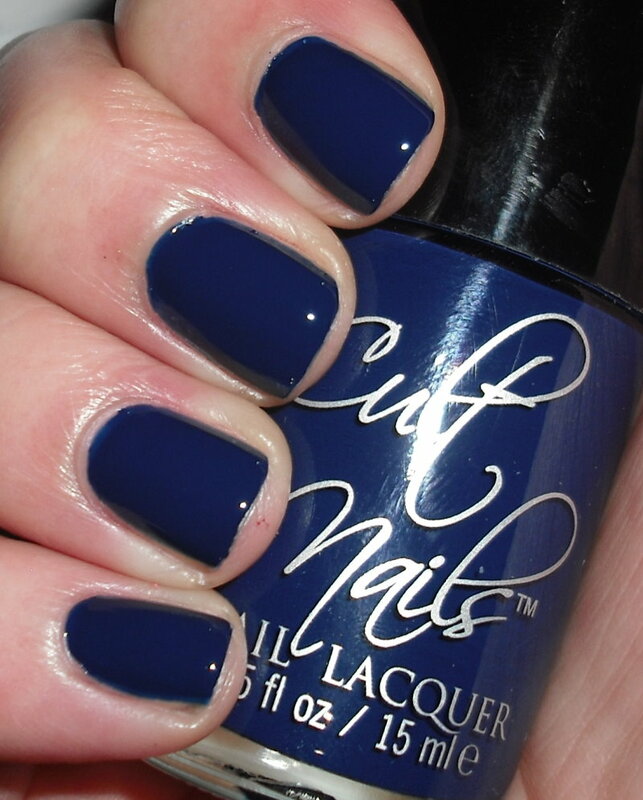 I love the richness of this color and how it's dark, but it's still clear blue. 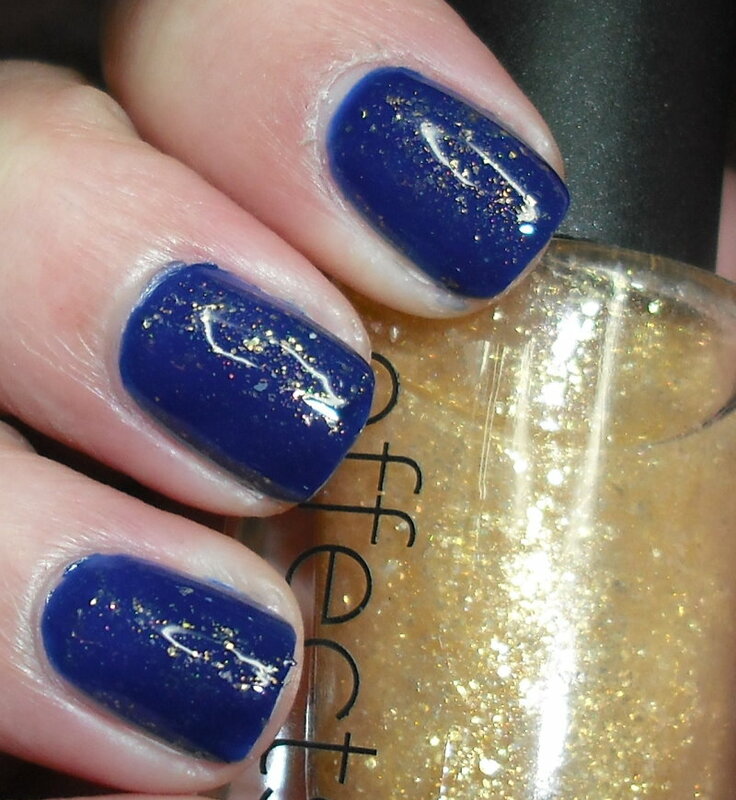 Plus...it's freaking TARDIS blue! Check out my full review. Well, this was a given! I'm sure this one will be on a ton of Top 20 lists. The different color flakies in here are splendid. The fact that this awesome of color could of been created still surprises me. A.M.A.Z.I.N.G. The end. Check out my full review. Be sure to see Part 3 tomorrow. I'm so glad you're learning to love green! I think GG looks fabulous on you. Lovely to see all the Culties there <3! Oooh, another set of great picks, Steph! I have to agree with Madeline, I think GG looks great on you. Time Traveler and Clairvoyant are so gorgeous!!! All of them = gorgeous! Great picks! It was a great year for Cult Nails! These are all favs of mine. I think 2012 is going to be a big year for layering toppers. I'm glad too! I notice the more greens I see lately the more I want them. There were so many great colors from Cult Nails! I agree! I can't wait for the year of the flakies!